We are still trying out recipes for our daughter's graduation brunch party in June. We've got a couple of things nailed down; the bacon twizzlers are a must, as are chicken & waffle sliders and ham biscuits. Fruit salad, mini-bagels with cream cheese and Carolina Blue Macaroons will make an appearance as well. We are still figuring out what kind of frittata/quiche and muffins we will serve our guests. 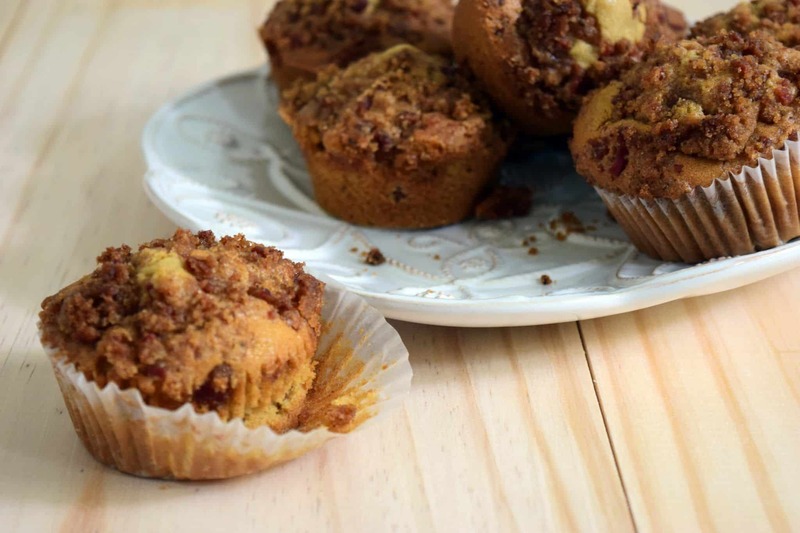 Last weekend we did some experimenting/cooking and came up with these Maple Bacon Muffins with a Brown Sugar-Bacon Streusel. When we started planning this brunch party, I did some research on Maple Extracts as I figured it would figure into our party food somehow. Through my online research, it seemed that the Boyajian Maple Flavouring had the best reviews, so I bought 2 bottles of it and waited for inspiration. In discussing what to do with the Maple Extract with the family, this youtube video from several years ago kept playing in my head…'bacon, the maple kind?' So I went in that direction. In my rational mind, there has never been a bad bacon and maple combination, so I had nothing to lose. These were what I had hoped they would be, not too sweet, but sweet enough with a little salty bite from the bacon. Making my mouth water remembering them. Cream maple extract, brown sugar and butter, then add egg and milk. In a separate bowl mix flour, baking soda, and salt. Add dry ingredients to the creamed mixture. Fill each cup of a muffin tin 2/3 full. 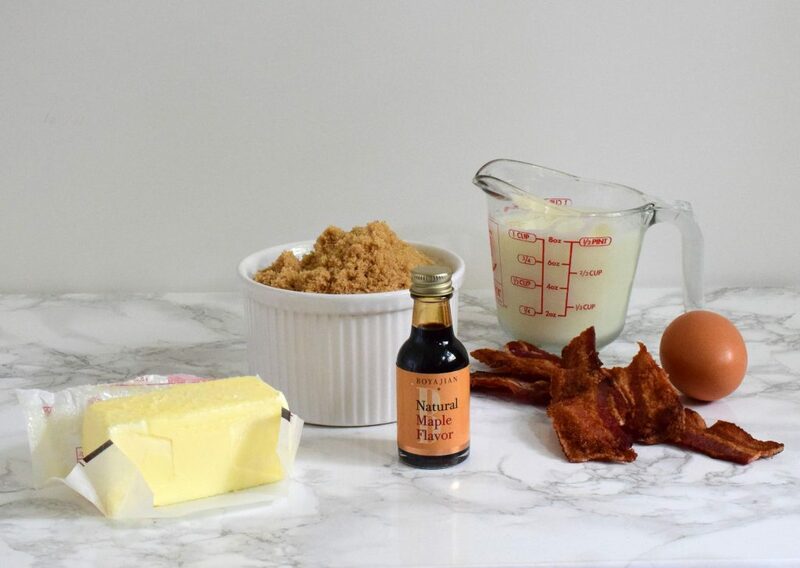 Make streusel topping by putting all streusel ingredients in a food processor and pulsing until combined and bacon has been chopped.